These monographs are published so that information on subjects rarely studied or written about can be more widely circulated. The author is always interested in hearing of additional information. The monographs are printed in modest numbers and reprints take into account new information as it comes to light. They are A5 in size with soft covers .Contact us for a quote for postage and details about paying. Reprinting two separate histories and background pieces prompted by the Americas Cup winners and their sails. An overview of this tool unique to the Sailmaker. (National Basket Museum), The Netherlands. A history and description of the many and varied styles of rope mats made from old rope yarns as opposed to the usual over under flat knot mats. This is the first time a comprehensive study has been put together of these overlooked mats and mat making techniques. There is a modest amount about the techniques but this is not primarily a how to book. It covers the history and background of mat making, together with hints, tips and ideas on various methods of making mats, from sewn and sennit mats, to mats with knitted panels, hitched ‘Appledore mats and mats with stitched yarns on canvas. A history and background on the styles and variations of the Sailmakers palm including a section on how they are made and a selection of patterns should you wish to try yourself. .
A brief history of ropemaking in the UK with a special section on ropemaking in Hailsham Sussex. 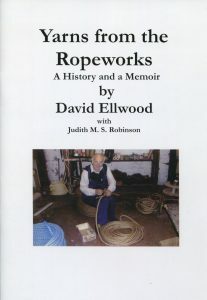 Together with all the specifications and descriptions of cordage, many of which are now almost forgotten, all collected together over a life in Rope by John Hawkins when he was 89. History and background to a wide variety of tools that make life easier yet are hardly ever described. background to the Navy’s Tobacco issue. A Bibliography & Commentary Together with the Solution to a Mystery. A compilation of recipes from many sources, designed to extend the working life of ropes, boats, nets & sails. Includes a glossary of materials mentioned. 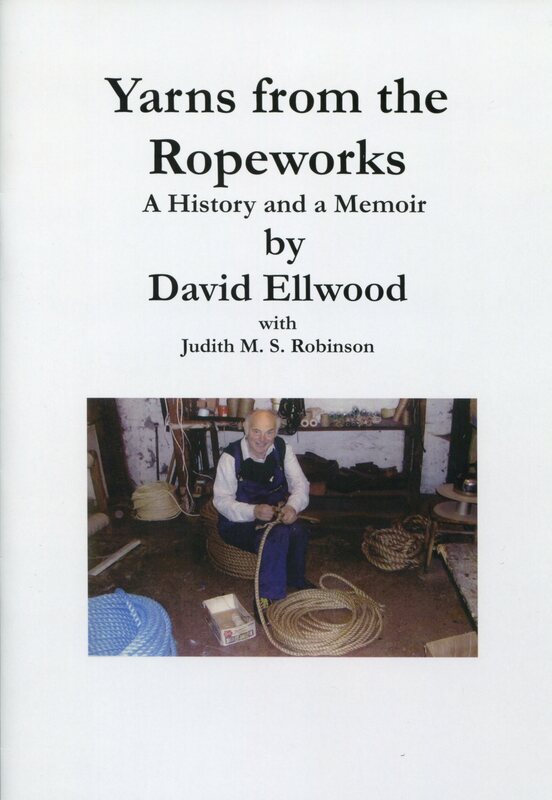 David Ellwood was the 4th generation making rope in Kendall and this book covers a brief history of ropemaking and ropemaking materials together with the story of 150years of ropemaking in Kendal & David’s role in that story. It captures beautifully Davids voice. We are happy to stock it .